When people ask me to recommend books that are like Tana French's, I usually just stare at them blankly. French is one of a kind, after all. That is, until I read The Ruin. 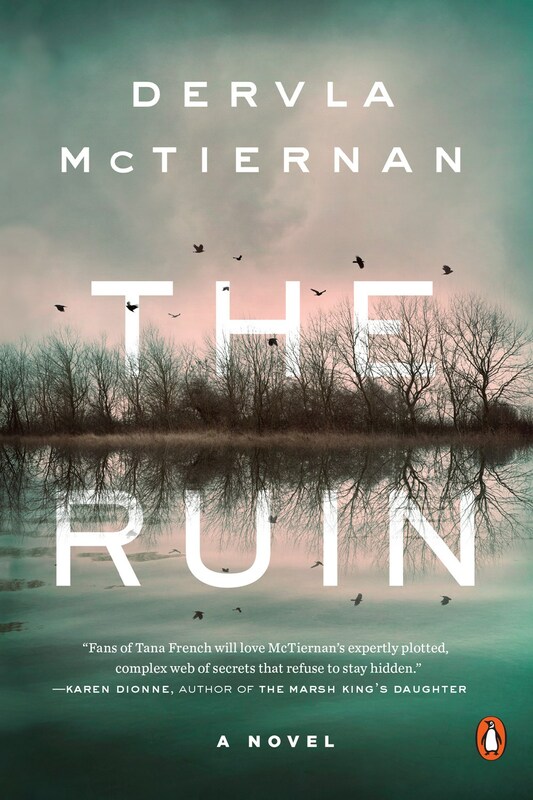 I don't want to oversell it, because I feel like comparing anything to Tana French is setting a book up for disappointment, but I absolutely loved this crime novel. It features DI Cormac Reilly, who is asked to reopen a case into a woman's suicide after her son also commits suicide 20 years later. It's provocative, unpredictable, and incredibly atmospheric. And best of all, it's the first in a series, which means we'll be hearing more from McTiernan soon. I read every history I come across about the British monarchy, especially from the Wars of the Roses/Tudor eras, so I was eager to devour this new biography of Catherine Howard, who was beheaded by Henry VIII for infidelity. This book takes Catherine out of the context she's usually put in, a teenager who's thrust into the spotlight when she catches the eye of a king who is basically three times her age (she was 16ish when they married, he was 49) and takes a new, fresh look at the person she was. This is really a fascinating and well-researched book that focuses on a tale of a young girl trying (and sadly failing) to survive in a court that turned against her. This graphic novel may be the most adorable thing I've ever read. It's set at the French royal court and features a young fashion designer, Frances, who catches the eye of Prince Sebastian. He has a secret: he loves to go out at night and wear fabulous dresses as his alter ego, Lady Crystallia, and Frances helps him make his dreams come true. It's such a sweet novel about accepting who we are -- and who the people we love are. Jen Wang's art is just amazing. I love her crisp gorgeous colors, and the dress designs are to die for. This is a little book I wish everyone would read and then pass on; it will make you smile, for sure.